Sugar Plum, a brand started just over a year ago by Reena Wadhwa is winning us over. She makes soaps, scrubs, face washes, shampoos, and lotions with organic materials and the merch is 100 percent chemical free. First, she chooses the base (goat milk, for example) and then adds essential oils and powders (turmeric, etc). Currently, there are 23 flavours for three kinds of skin - normal, oily, and dry. Depending on your skin type you can try even a combination of flavours. There’s charcoal, goat milk, fruit, shea butter, and premium soaps in flavours like saffron, rose, sandalwood & turmeric, and wine. They’ve got chocolate and strawberry lip balms and green tea eye cream and mango body butter, too. 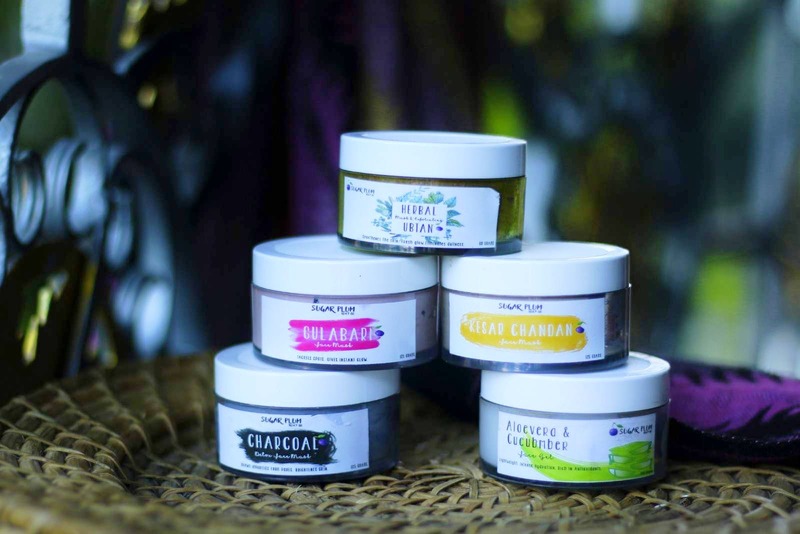 The soaps start from INR 70 (for 65 grams) and the balms start from INR 100. The wine soaps have been a bestseller she says; the wine she uses is homemade. They have introduced a new wine face wash which apparently has anti-aging properties and helps keep your skin hydrated and moist. If you want to get rid of acne, try their charcoal and papaya face wash with anti-fungal properties. Want to try their bath bombs? Call and place an order and wait for the explosion!